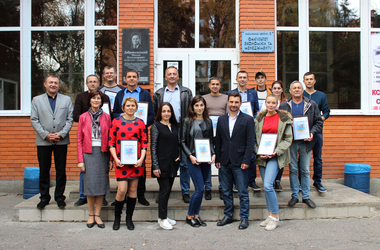 On October 18-19, 2018, the All-Ukrainian Scientific and Practical Seminar "Support to the Agroindustrial Enterprises by Modern Information Systems and Technologies" was held on the basis of the Poltava State Agrarian Academy. On the first day of the seminar with speakers on the peculiarities of using the most modern information systems in different production areas of agriculture, many speakers, including the head of the sales department Soft. Soil analysis, compilation of cartograms and agrochemical passports are almost the most important elements in precision farming. Why are these items so useful? The cartogram displays the intensity of any indicator within the field map, whether it is the density or the percentage of N (nitrogen), P (phosphorus), K (potassium) in the soil. With its help, each farmer can make a competent plan for the differential introduction of nutrients on any land plot. 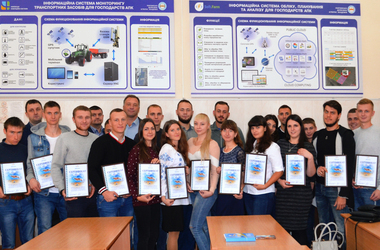 On October 4, 2018, the Poltava State Agrarian Academy held a ceremonial presentation of certificates of users of the Soft.Farm information system, with students successfully passing the exam in the discipline "Information technologies in agronomy". It has already become a good tradition that upon completion of studying the discipline and passing the exam for “good” and “excellent”, students receive certificates of users of the online system “Soft. 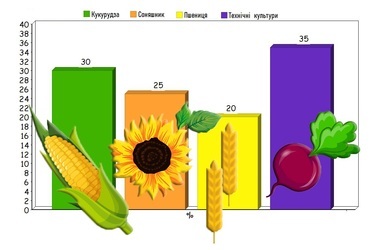 Every experienced agronomist knows how important to make a competent plan of crops for the next year. A huge number of factors affects the field seeding scheme, so for saving your time, the Soft.Farm web service offers a crop planning function. With this function, you can allocate a certain area to different cultures in your area, depending on the season, taking into account the needs of each crop as much as possible. Accounting for a land bank should always be handled responsibly, because the discrepancy between the real area of ​​the field and the data in the reporting of agricultural enterprises can lead to unplanned costs. 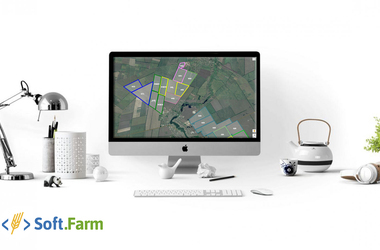 Web service «Soft.Farm» allows you to create and store your electronic maps, as well as monitor the fieldwork. At the moment, the easiest and most accessible way to measure fields is the mobile application and the online system "Soft.